Why You Already Know The Path To Your Desires, And How To Finally Get The “Map” There. Are You Ready To Discover Your Souls’ Messages of Wisdom? But did you know this? Although it’s new to your body, new to your human self – your soul is an expert at this. There’s nothing new going on – your soul and your Twin Flame’s already knew everything they could come up against on their journey back to love. Together, you chose this. As a team in love. And today – I’m going to do my best to be their messenger. To share with you the insights and the information that they would want you to have – to make this a journey of happiness, rather than struggle. They already know you can do it, otherwise you wouldn’t be here. No matter what’s going on between you and your Twin in the physical reality, the possibility of your Happy Twin Flame Reunion does exist. To get started with my Free Resources for Twin Flames if you haven’t already, go here. I get emails from Twins every single day about the amazing effects of these downloads – have a look at some of these testimonials here. The truth is that Twin harmony and reunion do not happen overnight nor do they happen on their own – we ourselves are active participants. Co-creators of “heaven on earth”. It won’t be given to us, we have to co-create it. How we do this is with our focus, our intentions, our emotions, our thoughts – our energy. We invite in what we’re aligned with energetically. Our timelines are always shifting, depending on what we’re drawing in. Twin Souls accepted the Divine Mission of Love to go “undercover” on Earth, taking on human karma and energy of heaviness, sadness and separation that has kept the planet and human beings in suffering for so long. It was our Free Will Choice. This means, we’re never here without being a creative part of the journey. We have to be co-creators of our bliss. Most Twins have been awakening over recent years but many have been stuck in the process of illusions coming up for transmutation – this is where Running/Chasing/Separation comes from (read more here). We have the capability to eradicate these from our systems for good in order to reunite, but some choose to stay stuck. The key to aligning with love is to permanently clear all that has been obscuring this love within. Developing a connection with your intuition, your Twin’s higher self and creating your own inner sanctuary is essential to retain a sense of calm and positivity. Go within and connect with your soul’s truth and your guidance team’s support and love instead. They know you, they understand the Twin Flame journey and they know the truth – love is always real, and you have what it takes to be happy and experience love beyond what other people even dreamed of. Allow the higher vibrational energies and the resonance of truth to carry you back up if things feel challenging. 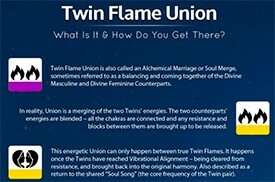 When my Twin Flame and I reached Union within 18 months of our first encounter I was asked to share my methods with the Twin Collective – discover more about this here. Our Twin Flame is always a mirror showing back to us our own issues, blocks and wounds… Read more about the Twin Flame Mirror here. It can feel heartbreaking but the key is to really honestly take a look at what the mirror reflects, so we can know ourselves within and resolve what being shown up. Only then can we truly move on in freedom. To get in tune with your intuition, clear your energy and learn how to avoid the confusion, stress and struggle of the Twin Flame path. It’s important to learn to disconnect from other people’s beliefs, opinions and perceptions. The feeling comes from congestion clogging up your connection – static from an overload of information, opinions, thoughts and other people’s energy. If you’re feeling low and especially feeling as if there’s no hope for your Twin journey, know that this often has to do with karma. It’s being highlighted so that you can clear it for good and open up your path for the future. To manifest your dreams and Reunite with your Twin, the patterns of expecting disappointment (from men, from women, from the world, from the universe/god, from yourself) have to be eradicated. Have a look here for a session where we go through clearing damaging karma between you and your Twin Flame, plus negative belief blocks. So many Twin Flames are under the impression that all it takes, is to ask and pray for harmony and love, meditate a little, maybe use some crystals and do some affirmations – and things will somehow resolve themselves in time. This is a mistake. Because there’s much more going on than this can deal with. On the surface you can be positive and think you’re attracting joy and harmony, but it’s only a tiny part of the equation. Everyone has an energy field, which has a dominant frequency. You can tell what your frequency is, by how you mostly feel. If you mostly feel depressed or heavy or frustrated, there’s negativity going on. And if left unchecked, this will attract more of the same. Spirit refers to our energy field as a “soup”, for amusement’s sake (amusement lifts our vibration). So you might have two parts hope for the future and one part love. But you also have four parts of fear of bad things happening, two parts skepticism. Together all of this stuff make a kind of energetic “soup”, which has a dominant frequency. Your dominant frequency is constantly being sent into the universe like an unspoken message. The great thing is that when we begin to work on our core beliefs and clear out all the negative intentions, our core vibration shifts and rises – bringing us more and more into alignment with the love and joy we desire. It’s not about what we SAY we want, but about those secret messages our energy is constantly sending out. This is why energy management is key to the Twin Flame journey. Go here for a quiz that will help you map our your energy vibration. The balancing act between Masculine and Feminine is another part of the Twin Flame Reunion for many – to even out the playing field so that resistance fades and both sides are open to uniting. As long as there are perceptions of difference – blocks, blame, suspicion, feelings of distance, separation, opposition – Reunion cannot happen. Because Reunion is harmony, love. This is why Twin Flames are often “experiencing each other’s experiences” in various ways, so we can let go of judgment and open up fully. In some shape or form, your recent experiences are meant to show you your Twin Flame’s previous history. 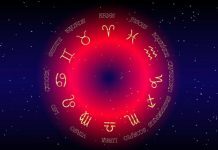 If your situation isn’t flowing smoothly, this is a sign there’s more to resolve before true Twin Flame Union can happen. If you are in Union you will know – there is no Running and Struggle in true Union. You are whole within yourselves more and more. Harmony is the norm, not conflict. Remember that if you come together with your Twin Flame without fully resolving the underlying issues, it will be a temporary Reunion at most. This is why so many Twins experience ongoing cycles of “on again off again” – it’s because the underlying issues and core wounds have not been dealt with. Cut the cords to the Twin collective if you haven’t already – because there is a lot of heavy energy in the Twin group which can negatively impact your journey. Make sure you stay detached when you read any Twin Flame information, so you don’t get tangled up in low vibrational fields. 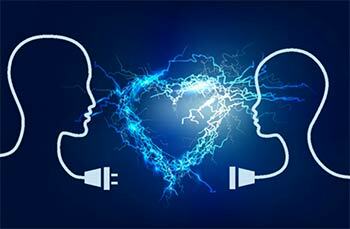 Clearing others’ energy and cords from your space – and being mindful that you yourself don’t cord to others – is a huge help on the Twin Flame journey. The message right now is – take a second look at your Twin connection and any problems. The issues you might be struggling with could be due to you picking up on other people’s energy. Either specific people, or the collective female karmic fields or the collective male karmic fields. Either way you are best served to identify this. This helps you clarify where something is coming from. And often, it’s not even your “stuff” that’s bothering you. Even after working with energy for years now I’ve been shocked at how profound and near instant this shift can be. Energy management and being aware of “our stuff” is highly important on the Ascension path to make the journey as smooth as possible. Go here for a session where we clear both you and your Twin Flame’s chakra systems and auras of congestion, ancestral negativity and other’s attachments, plus shield the two of you to protect you from outside influence. We are always learning that Love must be given, it cannot be coerced. We are being asked to approach harmony and balance from a new starting point from the inside out. To shift our perspectives to unity – realizing that we are one soul already. You can never really lose yourself – try to have confidence in this. Fear and worry will only push your counterpart away, so learn to clear these negative energies, which only become self fulfilling prophecies if left unchecked. Maybe your Twin isn’t what you want at certain times, maybe the whole thing is too much. And that’s OK. Love is voluntary. Maybe you need to focus on your inner situation, love yourself above all. Take your time. Instead of the Twins battling each other over “right” and “wrong” and for control or freedom, we are asked to act as a unit. Blame equates to separation. Forgiveness brings unity. In order to get to the point where we can uplift and heal the Twin Flame connection and the Masculine/Feminine relationship to complete union and a sense of safety, we must first get into the mindset of seeing and feeling ourselves to be a unit. Peace and harmony is impossible when two people see themselves as competitors or hold grudges. 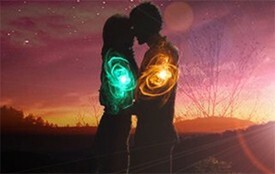 And above all – what determines whether your Twin Flame connection is harmonious and happy, or fraught with problems, is your energy vibration and your core beliefs. There is one huge thing that so many Twin Flames are missing… The fact that they have always been together. That the Twin Flames are never separate. They are one already. from You. This is the spiritual truth of the Twin Flame connection. This is the perfect imperfection of the Twin Flame relationship. And in order to accept and love both ourselves and our Twin Flame no matter what, at which point we can move into the Union Process and become “bearers of light” – we must clear away those old illusions of separation. All the You vs Me. The hurt, the conflict. Because it was never really true. The aim of all of this is for you to step into the joy and love of who you really are – who you and your Twin really are. One. Each other. 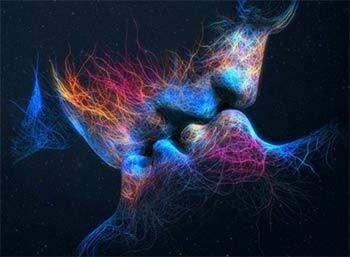 As souls, we are unlimited. Creators of whatever we choose. But the beliefs and patterns we’ve taken on in life tell us the opposite. On a soul level all Twin Flames carry strong light codes of unconditional love that are gradually brought to the fore as our Ascension moves on. Learn to connect with your Twin Flame’s Higher Self (I show you how here) and you will always have support, a sanctuary. 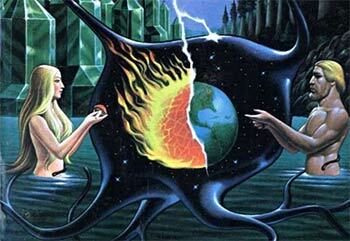 or “alchemical marriage” of the Masculine and Feminine. Twin Flame Union. 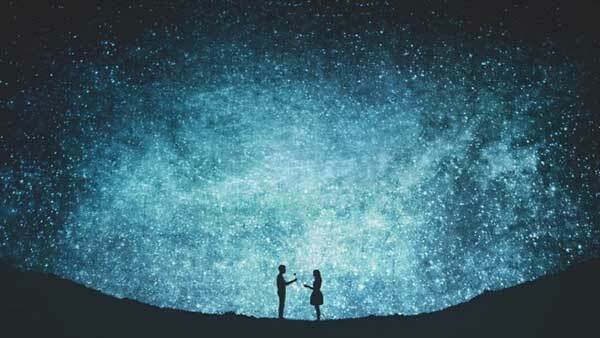 And all the while Twins are bonded heart to heart by an unbreakable connection forged in their pure core vibration – their unique Twin Flame Soul Song. You can never cut the true Twin Flame Bond. You can cut negative fear based attachments between you, but you can never end the bond of love from heart to heart. our very souls are striving to come together in love no matter what the outer circumstances of Running/Separation/Hurt may be. 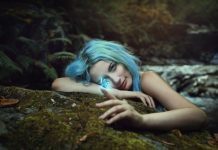 I was asked by spirit to channel a special session focusing on the Heart Bond, The Heart Chakra, clearing old blocks on both sides of the connection and sowing seeds of positive manifestations for the future. Have a look here for more on this.